Guy brings a wealth of experience to lead the growth phase in Bringg’s evolution, continuing the momentum of its rapid global expansion. For the past six years, Guy worked for Splunk (Nasdaq: SPLK), the leading software platform for machine data, in senior leadership roles including COO EMEA. Prior to that, he held various leadership positions at HP Software, Mercury Interactive, and Appilog. 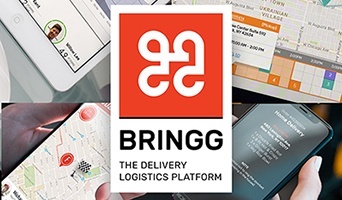 Bringg is quickly scaling up its operations following the ever-growing market demand for its technology platform from market-leading companies including Walmart and Arcos Dorados (McDonald’s largest independent franchisee). With consumers and businesses expecting fast and convenient deliveries for all their online purchases, there is a burning need for a technology solution that enables brands to easily establish and manage delivery operations, while maintaining complete ownership over their relationship with customers and delivery partners.